Yesterday, the world celebrated International Women's Day. A day to recognize women for their achievements without regard to ethnicity, linguistics, cultural, economic or political differences. The tribute was born out of labor movements at the turn of the twentieth century in North America and across Europe. 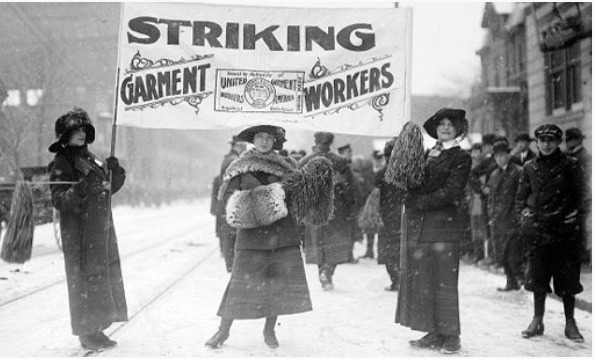 The first International Women's Day was observed in 1909, a year after the Socialist Party of America designated the day to celebrate the 1908 garment workers in New York state, where women protested working conditions. Since it's early days a century ago, International Women's Day has been a rallying point to build women's rights. Here in Charleston, we owe so much to our past, a history that was originally protected by some of our finest women. In honor of March being International Women's Month, we’d like to take a moment to recognize the efforts of Charleston’s original influencers -some you may have heard about, and others whose efforts have largely gone unrecognized. Each of them contributed in their own way to help make Charleston such a wonderful place to live. One of Charleston’s most renowned artists, Alice R. Huger Smith developed two completely different styles: pencil drawings for architectural publications and impressionist watercolors for sale. 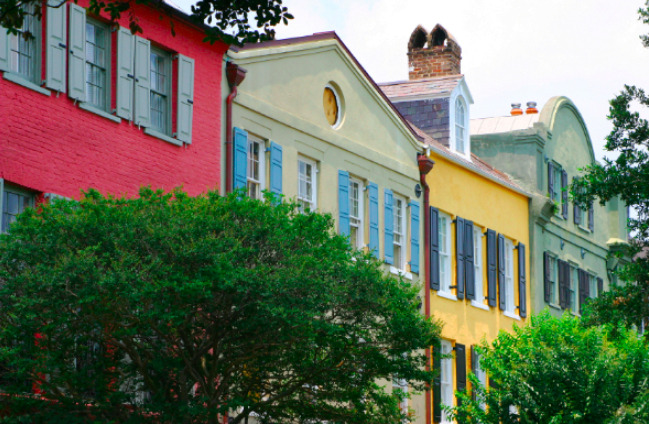 A number of books about the Lowcountry and life in Charleston were published at the beginning of the 20th century, but the architecture of the city had barely been considered. In 1917, Miss Smith and her father, D. E. Huger Smith published The Dwelling Houses of Charleston, one of the first studies of architecture of an American city. 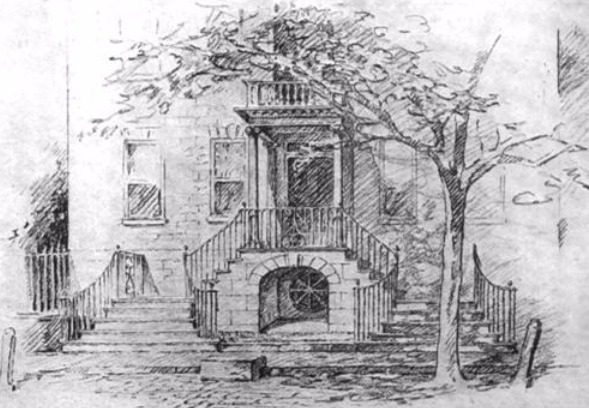 Miss Smith went on to publish a number of books, both with and without her father’s collaboration, and their work had a great impact on the appreciation of the architecture of Charleston. It is unlikely that early preservation efforts would have existed without the architectural renderings of Miss Smith. 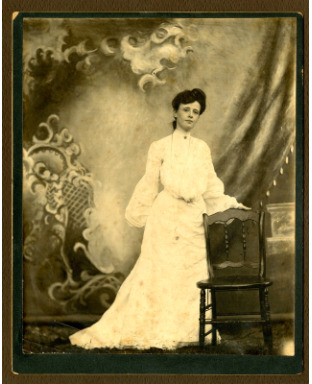 In 1909, Mary Vardrine McBee bought the James Nicholson House at 172 Rutledge Avenue from the Witte daughters to found an independent college preparatory school for girls, Ashley Hall. During her 40 year tenure as Headmistress of the school, Miss McBee grew the campus to include an indoor swimming pool, the "Old Gym" (Burges auditorium), kitchen and dining room, the Headmistress House, and faculty apartments. According to a January, 1935 issue of the Evening Post, Miss McBee bought real estate on the south side of Mason’s Court (now Talon Court) as well as on the west side of Smith Street. An undated “Do You Know Your Charleston” article from the Post and Courier entitled “Former Dives Transformed into Modern and Attractive Homes, Improving Entire Neighborhood of Ashley Hall” gives a glimpse into what Miss McBee had actually accomplished and the photographs below from the book Ashley Hallby Ileana Strauch confirm her achievements. Three sisters from Harleston Village began to change the landscape of Charleston with their advocacy work during the National Progressive Moment in the early 1900s. After graduating from Memminger Normal School, Carrie Pollitzer moved to New York City to study at Columbia's Teacher College. 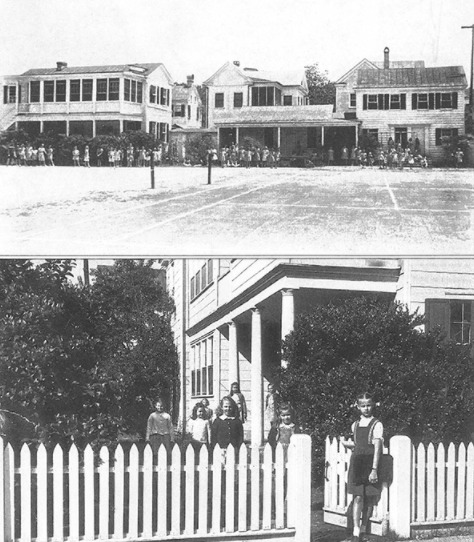 Upon her return to the lowcountry, Carrie established Charleston's first free kindergarten in a carriage house behind her family home on Pitt Street. 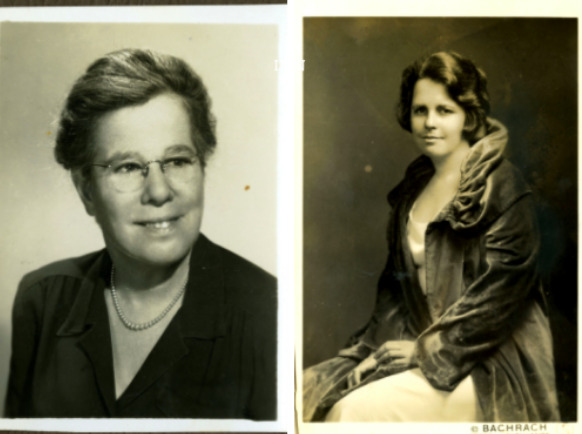 Teacher by trade, Mabel Pollitzer worked tirelessly to secure the right to vote for women. She became a charter member of the Charleston Equal Suffrage League founded by Susan Pringle Frost. She later joined the National Women's Party and worked along side her two sisters to secure voting rights for women throughout the United states. In the 1930s Mable worked tirelessly to create a free library for residents of Charleston. She remained a trustee with the library for more than 30 years. 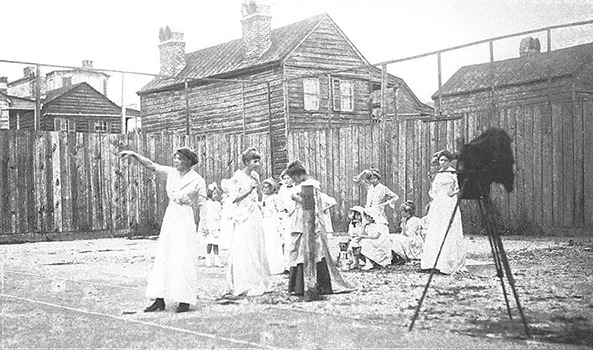 Youngest sister Anita followed in her sisters footsteps, advocating for the ratification of the Nineteenth Amendment. Throughout the 1920s Anita worked at the national level with the National Women's Party, to secure property and citizenship for women, and to remove hourly limitations for women in the workplace. She was also a close friend of artist Georgia O'Keeffe and played an active role in promoting modern art in the United States. A historic marker outside their Pitt Street home shows just what a difference these three sisters made. Several great properties near the Pollitzer's family home are new on the market. 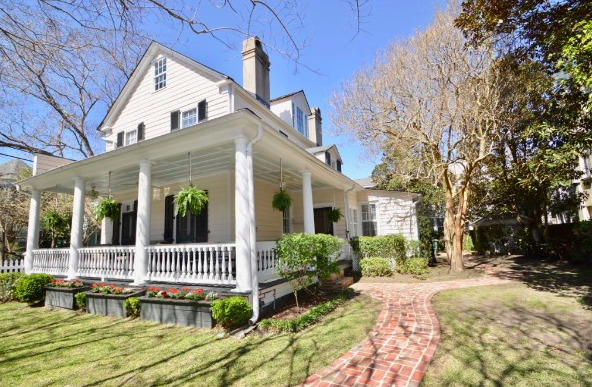 Eleanor is pleased to present 17 Pitt Street, an 1890 Charleston Single with a guest house. Lois is showing two houses in the area. The first is a circa 1842 kitchen house located at 173 1/12 Wentworth Street. Featured below is 54 Smith Street, this historic home features french doors leading to a wrap around porch. Inside, high ceilings and hardwood floors throughout. If you are interested in learning more about this lovely home or want to schedule a showing, contact Lois at 843-270-2797.